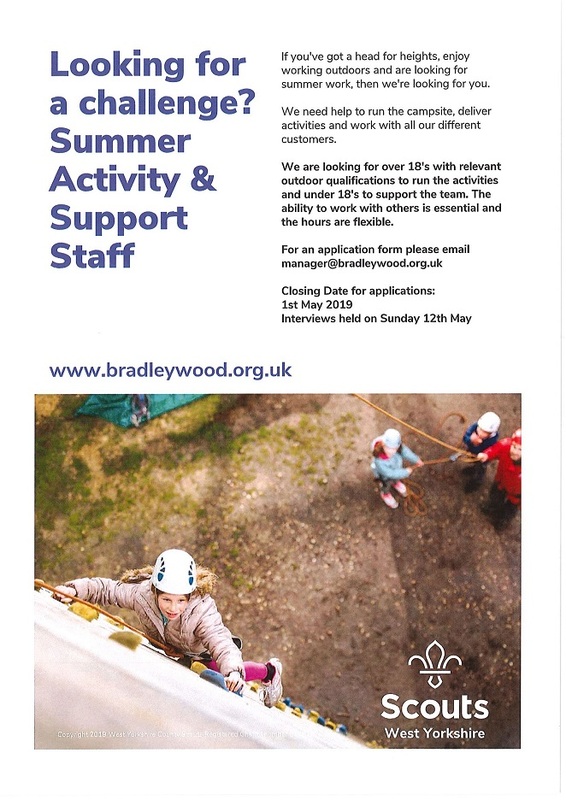 We want some over 18's to deliver our activities and some under 18's to support the regular team - so if you're looking for some summer work then Bradley Wood could have the job for you. We need people who enjoy working in the outdoors, with the ability to work with others including lots of kids and who preferably hold some outdoor activity permits. So if you're into climbing or archery or you're a pool lifeguard then please get in touch with us. Hours are flexible and the pay is competitive.